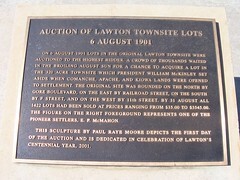 On 6 August 1901 lots in the original Lawton townsite were auctioned to the highest bidder. 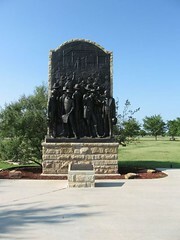 A crowd of thousands waited in the broiling August sun for a chance to acquire a lot in the 320 acre townsite which President William McKinley set aside when Comanche, Apache, and Kiowa lands were opened to settlement. 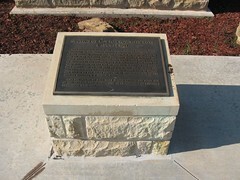 The original site was bounded on the north by Gore Boulevard, on the east by Railroad Street, on the south by F. Street, and on the west by 11th street. 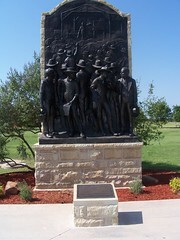 By 31 August all 1422 lots had been sold at prices ranging from $35.00 to $3545.00. 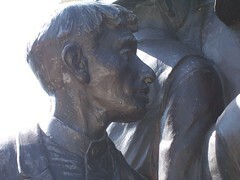 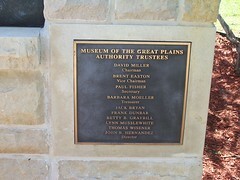 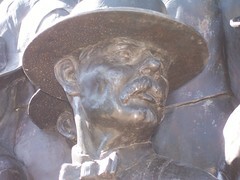 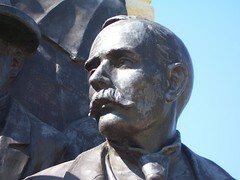 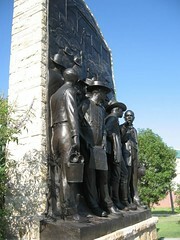 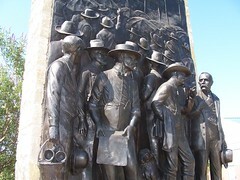 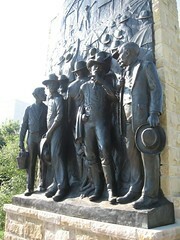 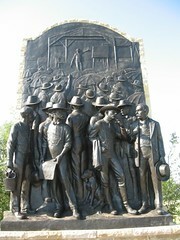 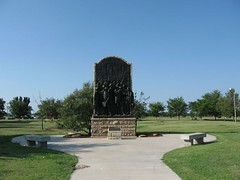 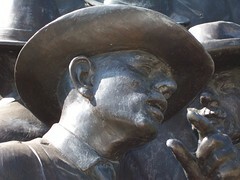 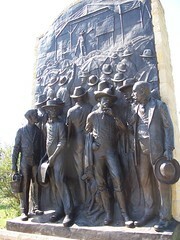 The figure on the right foreground represents on of the pioneer settlers, E.P. 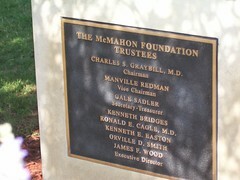 McMahon.